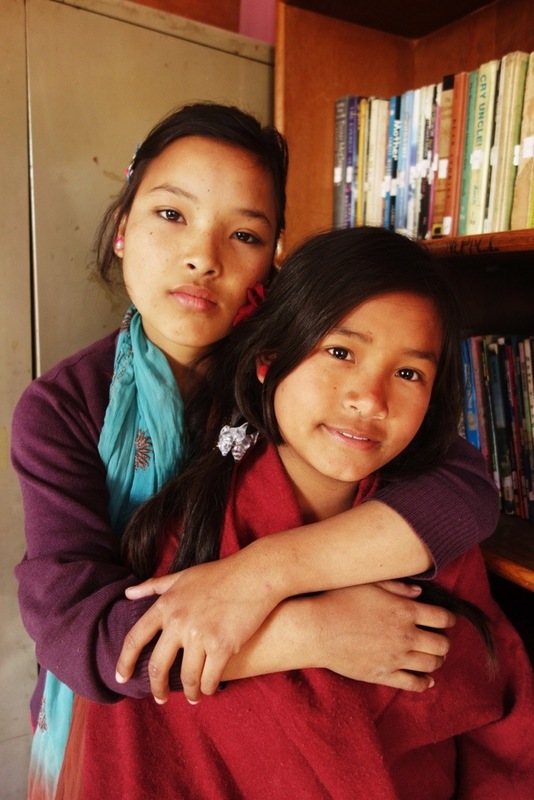 These children are artists, singers, dancers, football lovers, Nepalis, and students. They also happen to be orphans, though that is the last way I would think to describe them since they are so much more than that. There are sixteen children between the ages of seven and seventeen currently living in Hopeful Home, an orphanage in Kathmandu supported by two teachers (and their organization called Ten Friends) from my home town in Oregon. It is not an orphanage in the traditional sense (or at least not how I think of one) as many of these children still have mothers. Thought I don’t know all of their stories, many of the children have told me about their situations and there seems to be a bit of everything: some fathers left, others were murdered, and one committed suicide. Unfortunately it is still hard for women to work and support a family here, especially if they come from small villages (as most of these children do), so the children were sent here when they were young (normally between the ages of three and five) in order to be fed and given the opportunity to have an education. The ones with families see them once or twice a year during festivals, though they all seem to consider Hopeful Home and the community who lives here their real family. Though I have yet to meet Ama as she is on sick leave, the director, who is called mother by the children, is obviously a well respected and loved women as all of the children, especially the girls, go on and on about how great she is. There is also a Nepali teacher who comes ever morning and evening for a few hours to help with homework and supervise the children, and there is a cook, her husband, and their three year old son who live in the building as well. For the most part though, these children are self-sufficient and rely solely on each other for help. When I arrived I was shocked to find that almost every child, except the youngest ones, spoke nearly perfect English. These hard working students are all enrolled at a private boarding English school near their home, and complete every course (except one in Nepali) in English. Many of these children are first or second in their class, and most are at least in the top half. They have proven to be polite and respectful; I have rarely met a group of children as well behaved as these ones. The older children act as role models for the younger ones and help them in the evening with their homework. They also help them get ready in the mornings and scrub them down on Saturday which is bath day. This community has created a home where the children can grow and thrive. My first night here I was taken into the girls room (there are six of them) for a dancing and singing party. They are all amazing dancers, and have written down lyrics for many Nepali and western songs alike. Taylor Swift and One Direction seem to be among the most popular artists, and it was surprisingly fun to sing along to these songs. Over the last week I have been taught many Nepali dances as well, though all of the children are much more gifted than me in that domain. Almost all of the boys are avid football players (they play on Friday and Saturdays with everyone in the neighborhood) and some of them even have scrapbooks they have been working on for years depicting their favorite players. They are all, boys and girls alike, gifted artists, creating paintings and drawings that people twice their age would be proud of. Hopeful Home is independent, non-profit, non-political and non-religious, and was established in 2002 by two Nepali women. The children are sponsored by donors, and 1050$ covers food, shelter, education, health care, and any other fees for a child for one year. It is also possible to sponsor just the education of a child for 240$ per year, a mattress for 40$, or a bunk bed for 150$. They are currently working towards buying their own land (in the next month or two) in order to build their very own house with some surrounding property (in order to grow their own crops and have a cow as well as provide land for the children to play on). Ten Friends, a small organization based out of Sisters OR has proven vital in sponsoring many of these children (as well as children all over Nepal) and finding donations for projects such as these. My first impression of Hopeful Home and the children who live here is extremely positive. Though there is not much I can do to help (which is a good thing since it shows they are self-sufficient), I hope that by helping them with homework, being a positive role model, and giving them the affection and attention they deserve, my stay here will be worthwhile. This entry was posted in Nepal and tagged hopeful home Nepal, Kathmandu, orphanage Kathmandu, orphanage Nepal, volunteer hopeful home, volunteer Nepal, working Kathmandu by The Wandering Nomads. Bookmark the permalink. Can you share with us a website or a PayPal address that we can use to make a donation? Yes, I’ll be adding it to a future blog!